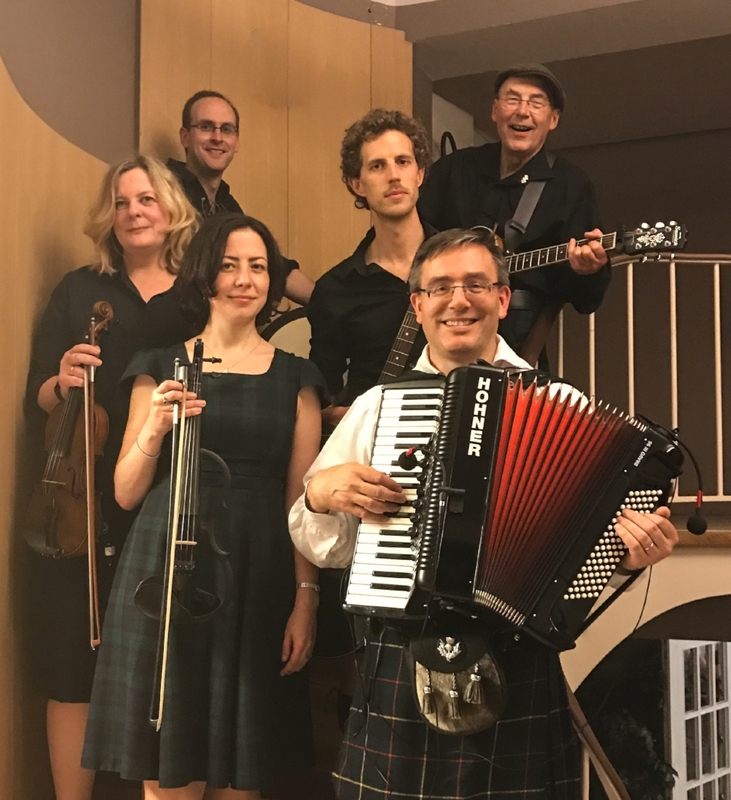 The Hoggies are a Brussels-based Scottish Ceilidh Band, established in 2011, by a group of enthusiastic musicians with a love of celtic music and an inspiration to make live ceilidh dances in Belgium available for everyone. The group currently includes a mix of different nationalities, with Scots/Irish, Belgian, Austrian and Polish musicians, who bring a diverse mix of musical backgrounds together, with a wide range of electric and acoustic instruments. We also take our dancers through every step of every dance with simple instructions, and will 'call' along with the music to make sure all of our dancers are comfortable and confident! The Hoggies are a Brussels-based Scottish Ceilidh Band, established in 2011, by a group of enthusiastic musicians with a love of celtic music and an inspiration to make live ceilidh dances in Belgium available for everyone. The group currently includes a mix of different nationalities, with Scots/Irish, English, Belgian, Austrian and Polish musicians, who bring a diverse mix of musical backgrounds together, with a wide range of electric and acoustic instruments. We also take our dancers through every step of every dance with simple instructions, and will 'call' along with the music in different langages to make sure all of our dancers are comfortable and confident! The Hoggies have significant experience performing at various public concerts, including playing at the Caledonian Society of Brussels’ annual public 'Spring Fling', 'Autumn Fling' and 'St Andrews Party’ ceilidhs. This is in addition to performing live at Belgian street parties for local Belgian communes, providing celtic musical entertainment for Members of the European Parliament charity dinners, playing at the charity ‘Duchess of Richmond's Ball’ at the Palais D'Egmont, playing at the charity Relay for Life and providing ceilidh music for the British Ambassador's New Year Party. The Hoggies have also performed at a wide variety of exciting private events including birthdays, weddings, New Year (Hogmanay) parties, Burns Suppers and Scottish Clan gatherings and the Scottish Weekend Festival at Alden Biesen. The Hoggies are really enthusiastic to offer our distinctive celtic ceilidh music repertoire and dance experience to the wider public, and are very interested in any new opportunities to arrange more public and private ceilidh events.